In every era of civilization and religion there is a concept of the living being. They understood and manifest their very own beliefs for several centuries that human being was not just a ‘living being’ but also takes a journey from the Mighty Creator toward a better way of life in the afterlife. The journey of every soul started from birth, living on this physical plain, death and the experience with the underworld. There are many long roads and different stages that had to be travelled by the soul. The journey of the human soul and the human heart will be weighed during the judgment day at the hall of Osiris, with seven steps of seven skies to the altar of God himself. In the everyday experiences that we see, the human being consists of the physical body and there is a living being in it, we often refer to as the soul. But in the ancient Egyptian religion the human being consisted of few parts. This is the human that can be easily recognized. The human body that hold the soul or the medium that soul exist in it. The birth of a child from every mother and grow up to be older and pass the time to afterlife. ‘Ba’ is also recorded in the Conversation of Man and ‘Ba’, when the ‘Ba’ would like to leave the body of man, there said to be a dispute between the body of man and his own ‘Ba’. The ‘Ka’ is a vital spark of the existence of the ‘Ba’, a duplication of the body that made ‘Ba’ existed, as a reproduction of the projection of the individual, it is a spiritual entity that was believed living within the body while one is alive and it also survive after death. It was when ‘Khum’ created an individual person then the ‘Ka’ started following this creation through the entire physical life and afterlife. The projection of the ‘Ka’ has to be the same as the individual self. The ‘Ka’ for women is a woman, the ‘Ka’ for man is a man, and the ‘Ka’ for child is a child. When a person dies, the ‘Ka’ will stay at the tomb as independent being, sustained through a variety of offerings presented in the tomb. The most inner core of the ‘Ba’, the spark of the divine-light from inside of the essence of the most self. The ‘Akh’ is the immortal part of the soul that will emerge and form again after the person passed the judgment after death. The ‘Ba’ and ‘Ka’ will be united in the journey to create a divine soul known as Akh (or Akhu, Ikhu, Khu). The ‘Akh’ was believed to live for eternity unharmed. In ancient Egypt it was also believed that the proper funeral sequences, proper offerings of special prayers and spells, mummification process, the tomb offerings, strictly following the funerary literatures as mentioned in the Coffin Texts and the Book of the Dead or ‘Per-t-Em-Hru’ - all of these processes will allow the soul not to die for the second time. The Journey of the ‘Akh’ started from the separation of the soul after death to become as ‘Ba’ and ‘Ka’, and then followed by the judgment day with many questions and witnesses and then reunite again as a process of a long journey afterlife. 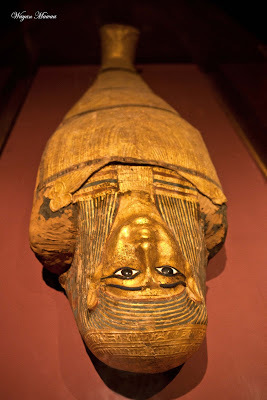 Those mentioned above were the most important elements of the soul processes of death in the ancient Egypt religion. However those processes became more elaborate with the extension of the following part of the process toward the progress of the soul in the afterlife and the soul’s journey towards the Creator. This part is very important to the quality of the soul, the ‘Ib’ (or Yb or Ab) or called the heart. The heart handles very important role toward the quality of the soul. The heart or ‘Ib’ is the residence of the ‘Ka’. The ‘Ib’ is more important and plays greater role than the brain itself and of immense importance during the ‘Judgment of the Dead’ weighing the dead person’s heart on a scale with Thot and Seshat as witness. How pure was your heart to influence the ‘Ba’ on its action through the ‘Ha’. The ‘Ib’ is the intelligent interior of the created wishes, intentions, attentions, attractions, through thought, mind, and ego. The heart is the state of the true self to navigate the soul since the heart is also the source of good and evil state of mind, positive and negative and continuously influencing the evolution of the soul and its journey. The existence of the individual ‘Ba’, the owner of the body is the ‘Ren’ or the name of the person that has to be maintained in good manner. The name given at childbirth in the ancient Egypt was given for public name and the other name was the secret name that only the mother knows. The secret name has to be kept secret for many reasons including power, magic purposes, etc. The ‘Ren’ is the name of the soul and the body during its lifetime. The name of the person while in this world and will continue to carry this name to the world afterlife, if the name was a bad person the people will remember that you are bad forever, but if a good person you will be maintained and the people will remember your efforts as a good person, and your name will survive, to be read and spoken forever. It is a ‘Shadow’- a protection shadow or ‘Sheut’ was a blessing for the ancient Egyptian; it is an essential part of the living being. The power of ‘Ba’ and ‘Ka’ is referred to as a protection of the living soul and connection with the other world, the universe and God himself (Ntr – Netjer - God). The journey of the soul afterlife in the ancient Egyptian was quite complex with all the beliefs, ceremonies and offerings. The sequence of the treatment of souls starts from conception in the womb of the mother, until the baby is born and slowly matures, applying the rules of social norms, having a good conduct guided by Maat, prayer and belief in the rules of Gods and Goddess. While living, they dedicated their time to build temples, learned things that are related to the progress of life and to make sure they make no mistakes in thinking, speaking and no act of wrong doing. The afterlife journey is as much as important as the life on the physical realm itself and even in some part it is even much more important since this is the journey that has no return and has to be kept harmoniously with the soul as mentioned in many literatures. The journey to the external house of the dead that was built in the imagination of ancient Egyptians was believed to have corresponded to the ideas of the afterlife. Crossing the Celestial River: The Journey begins by crossing the river from the east side of the river bank (probably the river Nile) by boat to the Land of the West (the land of the dead). The boat navigated by the ferryman Makhaf on boat of Aken – who will then transport the soul from the Land of the East of the river to the land on the West side of the river. Many tests were happening during the crossing of the river. The demon snake appeared in front of the Akh and tries to attack him. 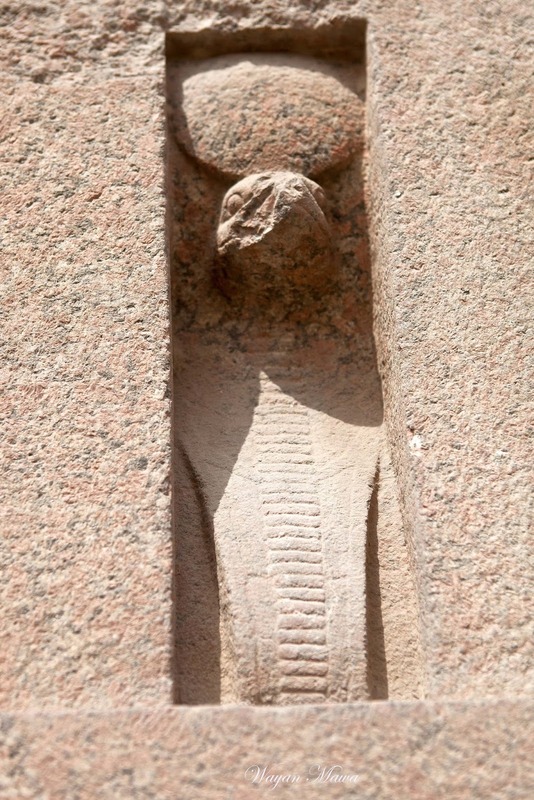 Since the journey started, the ‘Akh’ has difficulties crossing the river so there was a need to say some prayers or spell to protect him during his trip, the spell 33: ‘O Rerek snake, go from the way and take yourself off the way, Geb will protect me, get up for you have eaten a mouse which Re detest’. On this way to the land of the west, the ‘Akh’ needs to change its appearance and become a lotus flower, as a camouflage. The ferryman will also help the soul by keeping the owner of the boat awake, but the boat owner was so upset and unhappy because he carries the soul to the west and he only wanted to carry the soul to the west if the ‘Akh’ can correctly name all parts of his boat. If the ‘Akh’ can answer all the questions and passes this test then the owner of the boat will agree to transport the ‘Akh’ to the other side of the river. Passing the gates and labyrinths by answering questions: After reaching the west side of the river then the soul will reach the first of the many doors and labyrinths. Every time the soul passed through one door, automatically the door will ask certain question, the soul need to answer correctly and honestly to pass through the next door and this door will also ask a different question and the same sequence continue until the soul reach to its final destination at the Court of the Underworld. 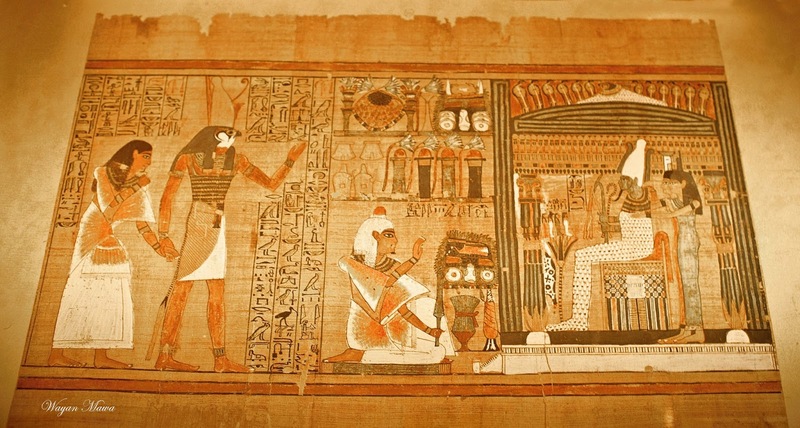 In the earlier papyri version the ‘Papyrus of Nu, 1’ it was mentioned that the underworld of the ancient Egypt has seven Arits or gates with its personal gatekeeper, watcher and herald. Besides the seven gates, there were smaller gates that the soul needed to pass through. In the ‘Secret Gates of the house of Osiris in Sekhet-Aaru’ there were twenty one gates mentioned with very long names of the gates, this was maybe to make sure the soul that passed would remember the name of the gate when asked by the gatekeeper. Only ten of the gates mentioned the names of the gatekeeper. In the following eleven more gates, there were no gatekeepers mentioned. The different versions of the gates had different ways of treating the dead, in terms of the ceremony, offerings and the special day of doing these ceremonies. This is crucial to help soul pass through the gates. Being let into the great Court of the Underworld by God Aker: The Aker (Akeru or Akerui) were the two flanking lions facing both ways. Aker is the guardian of sunrise and sunset. 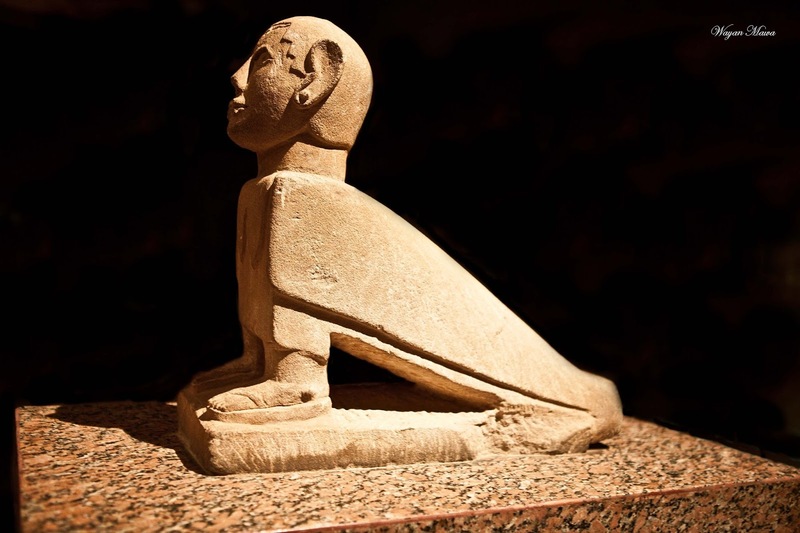 Aker guarded the court of the fourteen judges in the ancient Egyptian underworld. The two lions are named, Bakhu facing the sunrise in the eastern side, and Manu facing the sunset in the western side. The two lions were symbolizing two opposite things: the soul’s journey to say goodbye to the life on earth and to welcome the arrival to the underworld. ‘Hail to you, great God, Lord of Justice! I have come to you, my lord that you may bring me so that I may see your beauty, for I know you and I know your name, and I know the name of forty two Gods of those who are with you in this Hall of Justice, who live on those who cherish evil and who gulp down their blood on that day of the reckoning of characters in the presence of Wennefer. Behold the double son of the Songstresses; lord of Truth is your name. Behold I have come to you, I have brought you truth, I have repelled falsehood for you. I am Pure. I am pure. I am Pure. I am pure. My purity is the purity of the great phoenix that is in Heracleopolis, because I am indeed the nose of the Lord of Wins who made all men live on that day of completing the sacred eye in Heliopolis in the second month of the winter’slast day, in the presence of the lord of this land. I am he who saw the completion of the Sacred Eye of Heliopolis, and nothing evil shall come into being against me in this land in this Hall of Justice, because I know the name of these Gods who are in it. Hail Far-strider who came forth from Heliopolis, I have no falsehood. Hail Fire-embracer who came forth from Kheraha, I have not robbed. Hail Norsey who came forth from Hermopolis, I have not been rapacious. Hail Swallower of shades who came forth from the cavern, I have not stolen. Hail Dangerous One who came forth from Rosetjau, I have not killed men. Hail Double Lion who came forth from the sky, I have not destroyed food supplies. Hail Fiery Eyes who came forth from Letopolis, I have done no crookedness. Hail Flame which came forth from backwards, I have not stolen the God’s offerings. Hail Bone-breaker who came forth from Heracleopolis, I have not told lies. Hail Green of flame who came forth from Memphis, I have not taken food. Hail You of the cavern who came forth from the West, I have not been sullen. Hail White of teeth who came forth from the Faiyum, I have not transgressed. Hail Blood eater who came forth from the shambles, I have not killed a sacred bull. Hail Eater of the entrails who came forth from the House of Thirty, I have not committed perjury. Hail lord of Truth who came forth from Maaty, I have not stolen bread. Hail Wanderer who came forth from Bubastis, I have not eavesdropped. Hail Pale One who came forth from Heliopolis, I have not babbled. Hail Doubly evil who came forth from Andjet, I have not disputed except concerning my own property. Hail Wememty-snake who came forth from the place of execution, I have not fornicated with a child. Hail You who see whom you bring who came forth from the House of Min, I have not misbehaved. Hail You who are over the Old One who came forth from Imau, I have not made terror. Hail Demolisher who came forth from Xois, I have not transgressed. Hail Disturber who came forth from Weryt, I have not been hot tempered. Hail Youth who came forth from the Heliopolitan nome, I have not been deaf to words of truth. Hail Foreteller who came forth from Wenes, I have not made disturbance. Hail You of the altar who came forth from the secret place, I have not hoodwinked. Hail You whose face is behind him who came forth from the Cavern of Wrong, I have neither misconducted myself nor copulated with a boy. Hail Hot foot who came forth from the dusk, I have not been neglectful. Hail You of the Darkness who came forth from the darkness, I have not been quarrelsome. Hail Bringer of your offering who came forth from Sais, I have not been unduly active. Hail Owner of Faces who came forth from Nedjefet, I have not been impatient. Hail Accuser who came forth from Wedjenet, I have not transgressed my nature; I have not washed out the picture of a God. Hail Owner of Horns who came forth from Asyut, I have not been voluble in speech. Hail Nefertum who came forth from Memphis, I have done no wrong, I have seen no evil. Hail Tempsep who came forth from busiris, I have not made conjuration against the king. Hail You who acted according to your Will, who came forth from Tjebu, I have not waded in water. Hail Water-smiter who came forth from the Abyss, I have not been loud-voiced. Hail Prosperer of the Common Folk who came forth from your house, I have not reviled mankind. Hail Bestower of Good who came forth from the Harpoon nome, I have not been puffed up. Hail Bestower of Power who came forth from City, I have not made distinctions for myself. Hail Serpent with raised head, who came forth from the cavern, I am not wealthy except with my own property. Hail carrier-off of His Portion who came forth from the Silent land, I have not blasphemed god in my city. The tests did not stop here, further journey will continue to different parts of the Underworld. Taken by Anubis to Balance of Truth to weigh his heart for sins: Anubis will lead the deceased Akh to the balancing scale in the Hall of Ma’at, the God of Truth by his right hand while his left hand carries the key of life. On the scale of Truth, appeared the Goddess of Justice, Truth and Order, Ma’at as a symbol of the fair and true balancing scale. 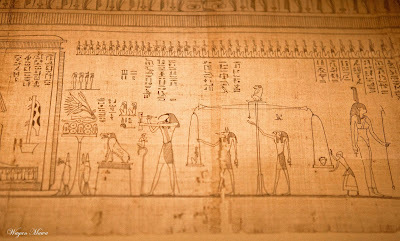 For this scene was mentioned in the papyrus of Ani: ‘Pay good heed to the weighing in the balance of the heart of the Osiris, the singing women of Amen, Anhani, whose word is truth, and place thou her heart in the seat of truth in the presence of Great God’. Anubis is responsible to weigh the heart, the heart of the deceased Ankh kept in a jar and placed in one of the weighing pans and the other side is weighted with the feather of God Ma’at. During the weighing of the heart, also appeared Ammit (Ammut) the deity of the funerary. Ammit took the form of hippo-lion and crocodile. His titles were the Heart Eater, Great Dead and the Devourer of the Dead. The most important journey is in this part. The ‘Akh’ need to convince that he is innocent and to make sure that ‘Ammit’ will not swallow the heart of the deceased ‘Akh’. If the heart is swallowed by ‘Ammit’, then the ‘Akh’ will not be able to continue his journey to the Hall of Osiris and his immortality. The ‘Akh’ will be restless forever or ‘to die for the second time’. If the ‘Akh’ passed in this part of the journey then he will continue his voyage to the next hall. If the heart wasn’t heavy, brought by Horus to Chief Judge Osiris: The ‘Akh’ will be escorted by Horus to the Hall of Osiris and he will have a ‘question and answer session’ with Thoth the God of Scribe. Akh: ‘I am purified from evil things, I am protected from the evil deeds of those who live in their days; I am not amongst them’. Osiris who is sitting on his throne with the water lily flower growing from the water under his feet and the four sons of Horus stand on the flower, will then receive and accept the ‘Akh’ in the Underworld as Horus followers. Osiris accompanied by Isis and Nepthys. He accepted the presence of the ‘Akh’ because he was pure and has no sins. Entering the Fields of the Reed (paradise) and get the eternal life: The pure ‘Akh’ then can pass the Hall of Osiris and granted a plot of land to start his life in the afterlife. The ‘Akh’ was also being able to reunite with their family in the afterlife of the underworld, after the seven steps toward the test and judgments then finally the soul to be granted to enter the field of eternity, a place in the blessed land. The ‘Akh’ will now in the place called paradise. Only the immortal souls, the souls that have no sin will occupy this place and granted a piece of slot land of eternal life and be happy forever. According to the Papyrus Nu 1, the ancient Egypt believed that the underworld (heaven and hell) are divided into fourteen Regions called Aat. Each of this Aat presided over by special God. In this region a man lived on cake and ale. The wall of iron, the wheat here is five cubits high, the barley is seven cubits high and the Spirits who reap them are nine cubits high. Its only inhabitant is the ‘God who dwelleth in his egg’. The journey of the soul continues to this region according to the fair judgment they receive. In a particular region of their afterlife, the soul will experience a process of self-improvement, depending on what they have done in the real life on earth. Were they helpful, having good conduct, speaking kindly with respect, etc. or were they doing the opposite? The souls will receive progress in the afterlife until such time that they will be born again to a different personality on earth. This will only happen after the time passed in this region of Aat, except for the souls that gain the eternal life, they will never return to this physical realm for rebirth, as they will be granted a place in the field of reeds of Sheket Aaru in the world of Osiris. I want to elaborate on the photograph that says: scene from The Book of the Dead, Alexandria Library. The actual caption for this picture is: Horus presents the first Pharaoh of Egypt to Osirus, sitting in judgement. Behind Osirus is his wife (and sister) Isis and her sister, Nephthys. Above Osirus is the God of the mortuary of Memphis gaurded by six cobras on each side (12 total). This picture is dated to 1320 B.C. I managed to see the symbolism here that was robbed and later used in the bible. Osirus was born on December 25th, the day Christians celebrate as Christmas to celebrate the birth of Jesus. The same Jesus who would sit in judgement upon the living and the dead. And it didn't come until around 300 A.D. about the time that Constantine the Great changed history, by rewriting it. I have the Book of the Dead, an awesome good book.